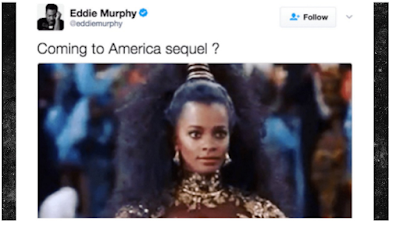 Eddie Murphy may be working on a sequel to Coming To America. A now, since deleted tweet by Murphy got fans extremely excited. The news appears to be true, but perhaps was revealed too early. TMZ reports that sources close to Eddie Murphy say that he is in the early stages of writing the sequel. 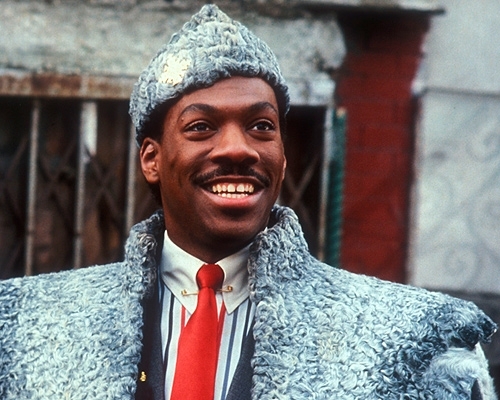 The original Coming To America debuted in 1988, starring Eddie Murphy, Arsenio Hall, James Earl Jones, John Amos, Madge Sinclair and others. If you haven't seen the original film, it tells the story of a pampered African prince who travels undercover to Queens in search to find a wife who he can respect "for her intelligence and will." TMZ has been at the forefront of breaking many stories. But it's not official until we see a trailer. What are your thoughts on a Coming To America sequel? Share your favorite moments from the original.